This painting started off as a preparatory study for a much larger piece. The more I worked on the signs, the more I became increasingly convinced that this should have its own identity - hence, Billy Elliot. 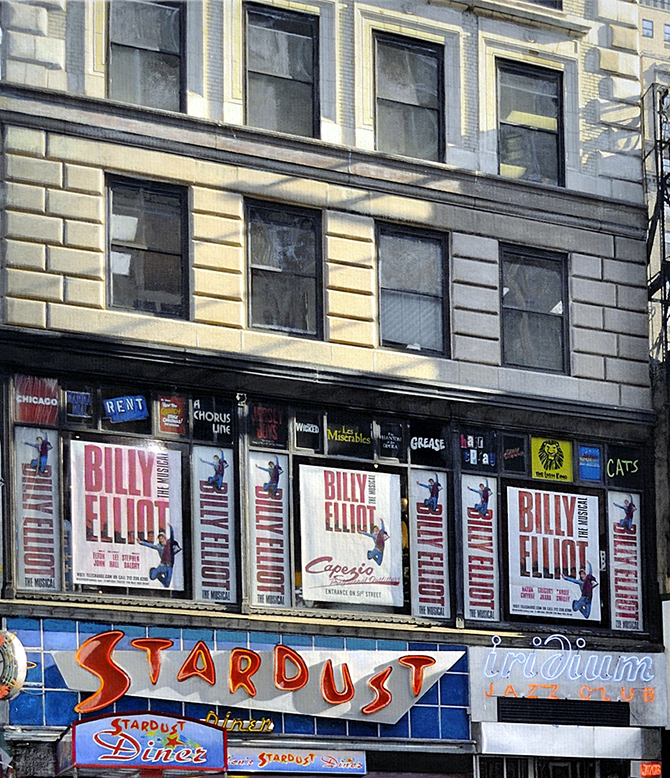 This Tony winner musical was based on the 2000 film Billy Elliot with music by Elton John. The challenge was to depict each poster with its distinctive characteristics, i.e. tears, wrinkles, etc. Similarly, the windows had their own individual reflective qualities.